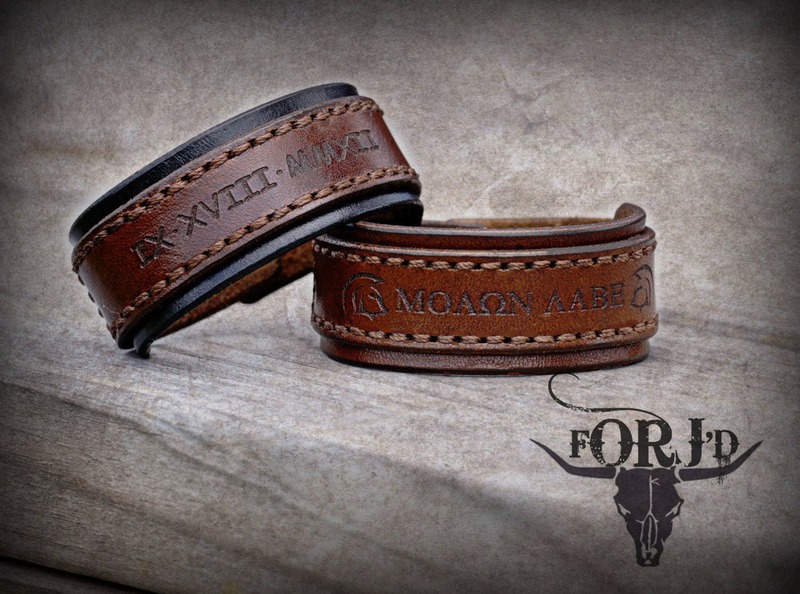 This cuff is made with 100% genuine leather, and high quality materials. Laser engraved and cut 7 ounce single bend premium leather. Hand edged, dyed, oiled,finished and stitched. 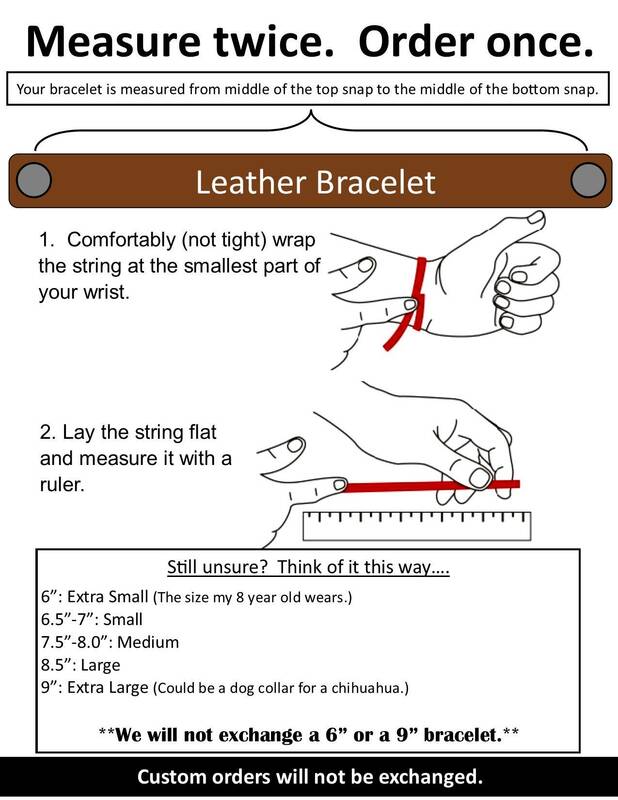 Bottom layer is a half wrist wrap that can be altered with either black or brown dye. 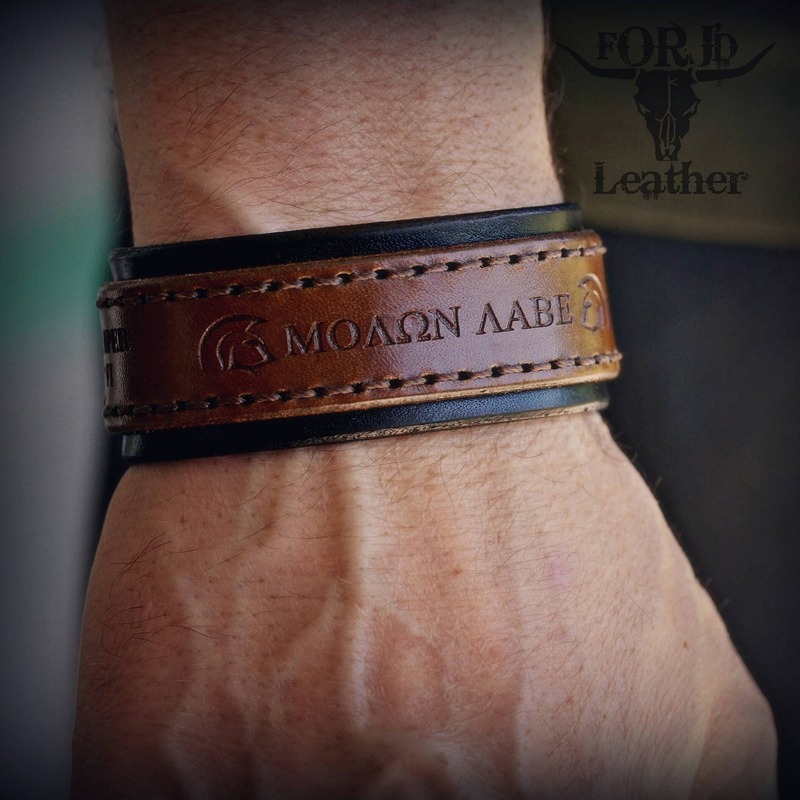 Comes with "Molon Labe" engraving. This cuff can be custom engraved with your quote, phrase, or date free of charge. Add your custom engraving to the notes if desired.